Update: Boeing workers in Charleston, South Carolina have voted Thursday to unionize with the Machinists Union by a margin of 104-65. The victory wins organized labor a key toehold in a major employer in the South as efforts to #OrganizeTheSouth heat up. Last year, Boeing workers were roundly defeated when they attempted to organize at Boeing’s state-of-the-art North Charleston, S.C. site. Seventy-four percent of the plants’ 2,300 workers voted against unionizing with the International Association of Machinists. Now, the machinists have successfully petitioned the National Labor Relations Board to allow employees to vote on union representation for a smaller portion of the plants’ 178 highly skilled flight technicians. Workers say layoffs, mandatory overtime, and inconsistent work rules have turned many employees against the company. However, the company played hardball, warning workers that they will lose their job if they vote for the union and that whatever union they do win will have little power within the plant. “There is a lot of slander and scare tactics of the union but,I don’t think we have lost too much [support],” says Jones. 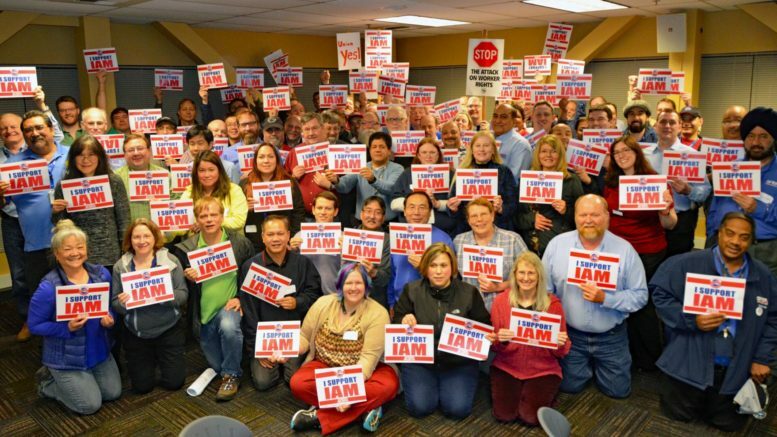 The vote for the union was sucessful and organizers hope that a win at Boeing could create a foothold at the plant for a multi-year, maybe even decade-long campaign to unionize the plant. Boeing has already signaled that they intend to challenge the legality of the decision of the NLRB to allow for a small unit of the plants’ workers to hold a vote, which means Boeing will likely never see a so-called “micro-unit” at the plant. Car manufacturer Volkswagen appealed a similar micro-unit when it was voted in at its Chattanooga plant in late 2015. However, as the recent teachers’ strikes nationwide have shown, workers can do a lot as an organized force with a union behind them. Workers at Volkswagen in Chattanooga have been able to successfully win the reinstatement of several workers that were fired unfairly. And workers at Nissan, where the United Automobile Workers union has launched a similar minority union, have been able to win changes in that plants’ practices. “The union has been more about education, what are your rights, what’s available to support you,” says Jones. The vote could signal a new opening for the machinist union in South Carolina, which has been trying to organize Boeing’s plant in North Charleston for more than a decade. 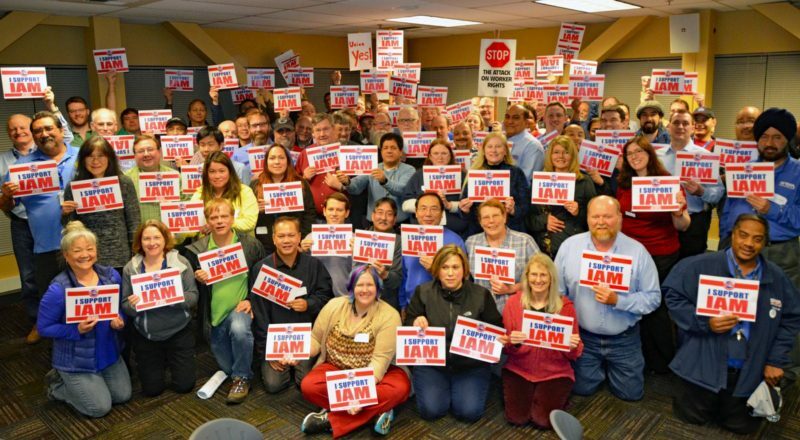 Be the first to comment on "Boeing Workers Vote To Unionize in Historic Union Election in South Carolina"